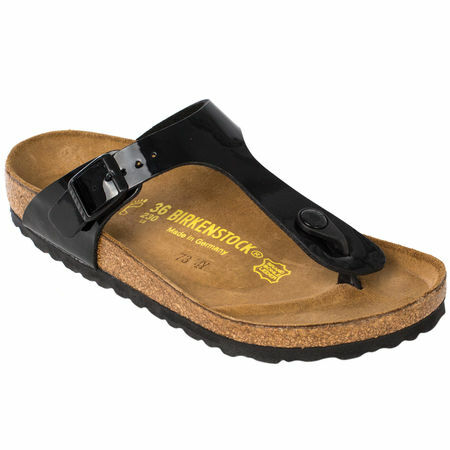 Birkenstock, a brand traditionally associated with hippies, not high style, is having a moment. Particularly their Gizeh sandal, which combines extreme comfort—including arch support, a roomy toe box and adjustable strap, and a deep heel cup—with a flattering, wear-with-anything leather thong style. These cushiony sandals feel amazing right out of the box, but here’s the best part—the more you wear them, the more the suede covered cork foot-bed conforms to your exact foot shape. Thankfully, they come in a variety of colors, from patent black to bright white—because you’ll want at least a few pairs to last you through sandal season. Try them with jeans, leggings, cropped pants, shorts, flowy skirts and maxi dresses. Fair warning: Your other shoes are going to get jealous.